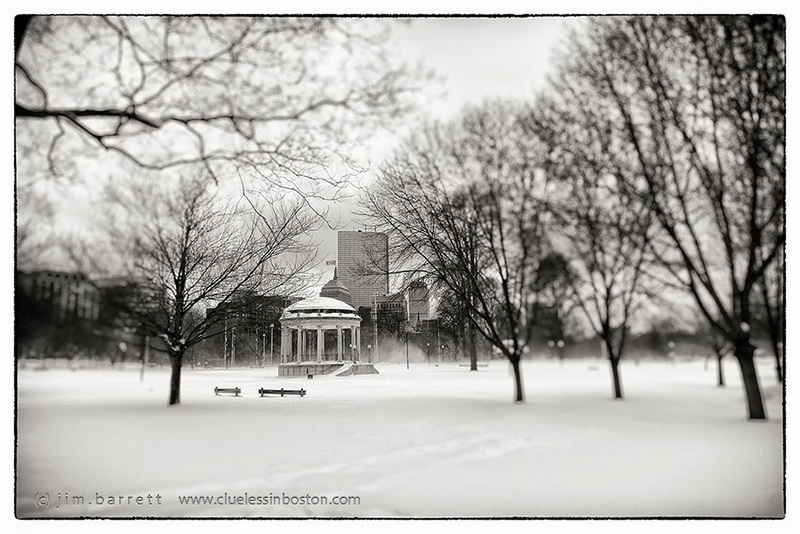 Looking towards the Parkman Bandstand on the Common. The picture gives a real feeling of cold ! MAGIC PHOTO! it's beautiful ... a bit difficult perhaps, but really nice ! Brr, looks freezing. I walked across here but it was a much warmer day!